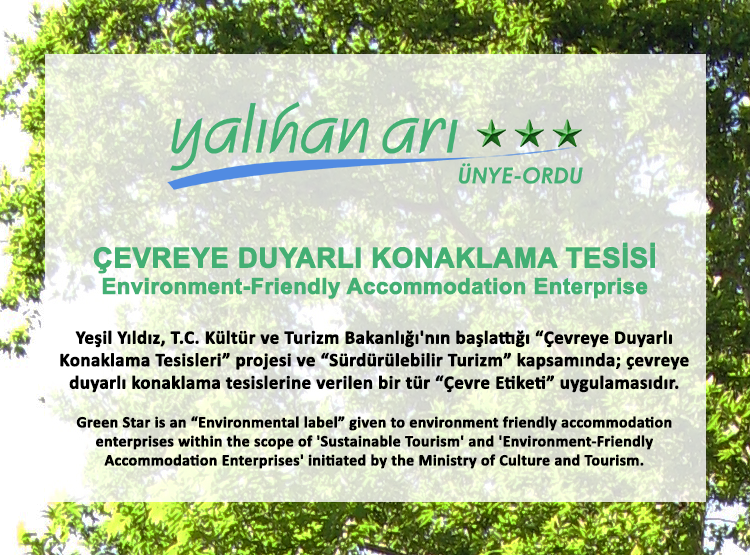 Yalıhan Arı becomes Ünye's first Green Star Hotel! Yalıhan Arı Hotel is located in the most lovely town of the Black Sea Region. 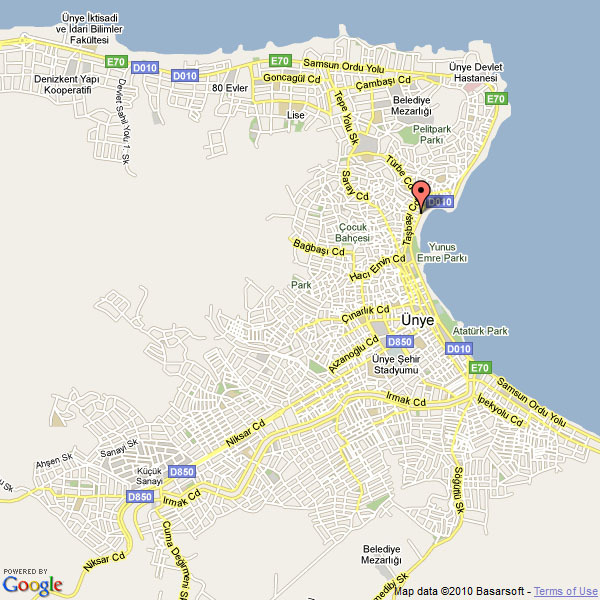 It lies before the delightful bay of Ünye at the location called “Yalı”, in the heart of the city. Yalıhan Hotel has been established with the idea of providing a comfortable and a peaceful ambiance for our guests as well as an oportunity to better know the Black Sea Region. We will be pleased to welcome you in our hotel and provide you the peaceful stay you look for in a vacation. Our hotel has 16 rooms (7 Single, 4 Double, 4 Suite and 1 King Suite) and 32 beds. All of our rooms have an air conditioner, a minibar, an electronic safe, a hair dryer, free wireless Internet, a plasma TV (TURKSAT and HOTBIRD satellites), and phone. Free wi-fi service and a public PC are available in the breakfast hall. Our hotel has a central heating system and is equipped with an electrical generator. Additionally, public spaces are equipped with air conditioners. For your safety, our hotel is equipped with security control systems. No pets are allowed in our hotel.